Tuesday March 5th! 720 King Street West. 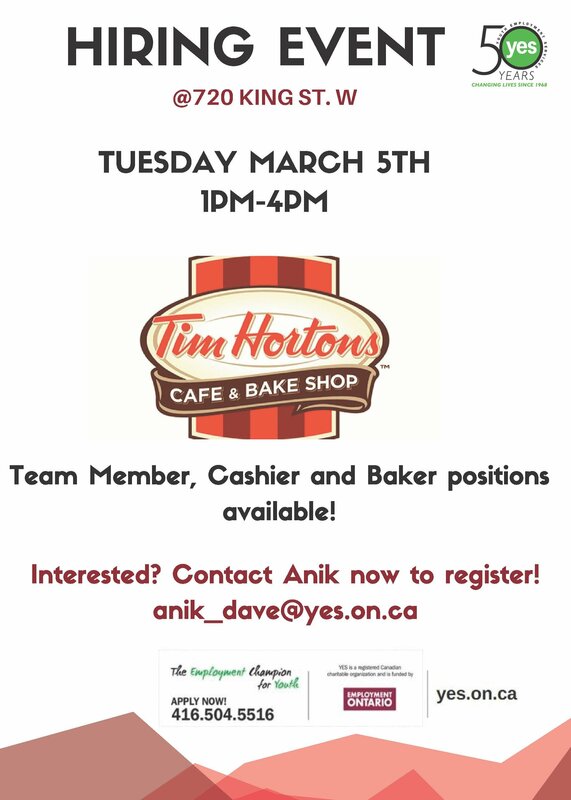 Tim Hortons is hiring various positions! This entry was posted in Hiring Events, News and tagged https://www.yes.on.ca/contact-yes-online/?tag=timhortons. Bookmark the permalink. Looking for a Summer Job? Centre Island is Hiring!